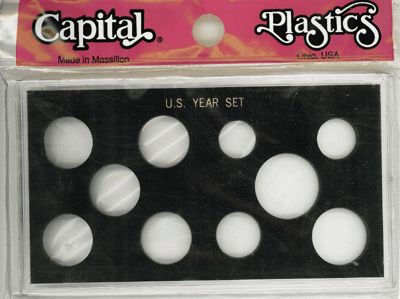 Captial Plastics United States Proof set in white. Holds 5 coins. Model Size Color Pack Qty 11 2x6 White 1 Captial Plastics United States Proof set in white. Holds 5 coins - cent, nickel, dime, quarter, half. Screw together design. 2x6 inches. 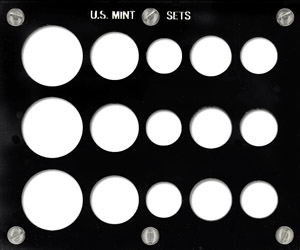 Captial Plastics United States Mint set in black. Holds 5 coins. Model Size Color Pack Qty 11B 2x6 Black 1 Captial Plastics United States Mint set in black. Holds 5 coins - cent, nickel, dime, quarter, half. Screw together design. 2x6 inches. 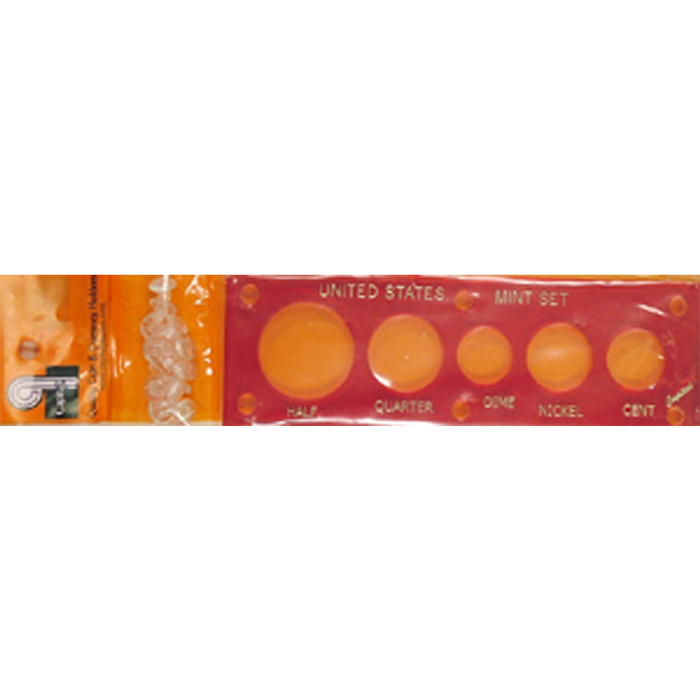 U.S. Mint Set (Ike$) Model Size Color Pack Qty 17EM 2x7.5 White 1 This white Capital Plastics holder is 2x7.5 and will display your U.S. Mint Set for Ike dollars (Proof/Mint/Year) has 6 slots.